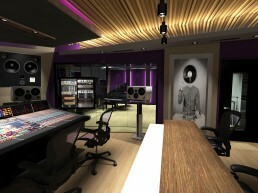 Mix Masters | Pilchner Schoustal International Inc. 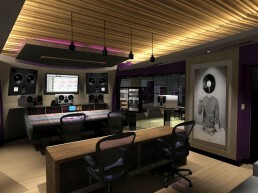 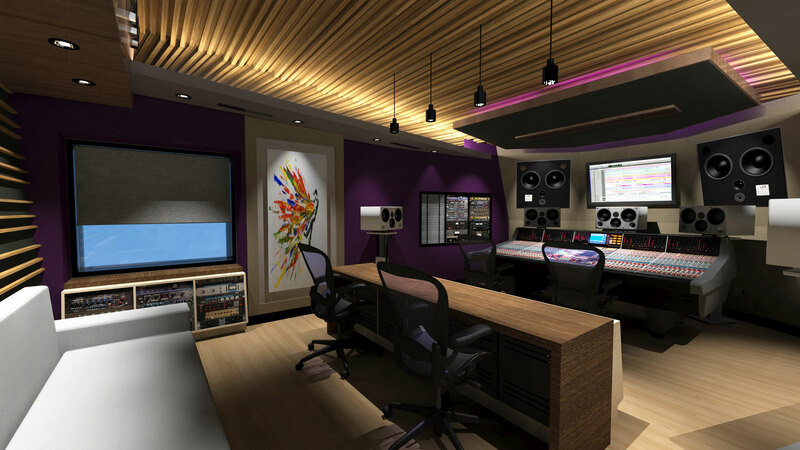 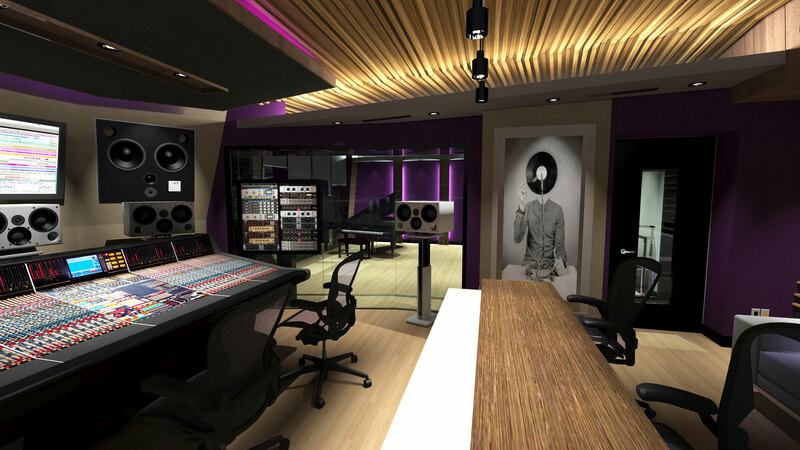 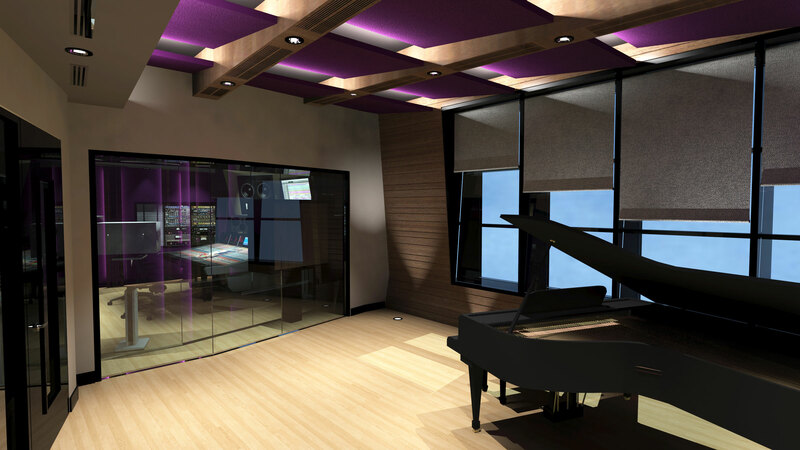 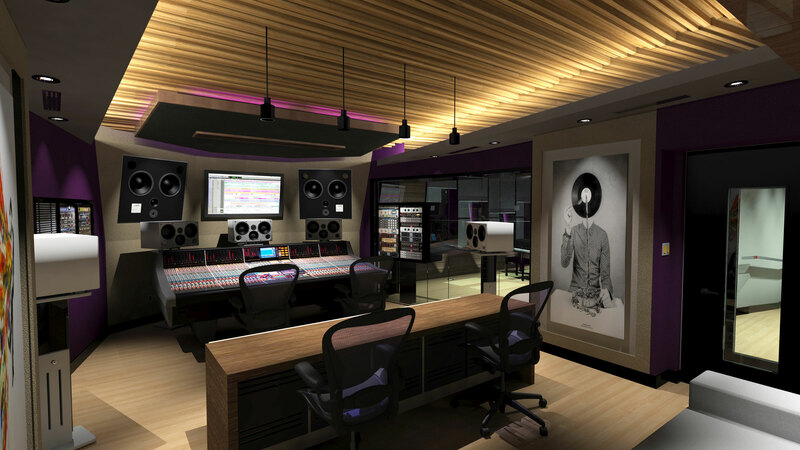 This exciting new facility in downtown Chicago will feature a fully appointed controlled reflection technology control room with stereo, 5.1, 7.1 and Atmos capability centered around a NEVE 88RS console. 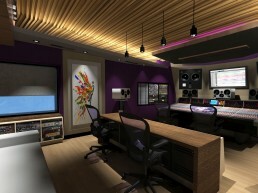 Focus in the design is a high degree of technical functionality to make the most of the extensive equipment inventory. 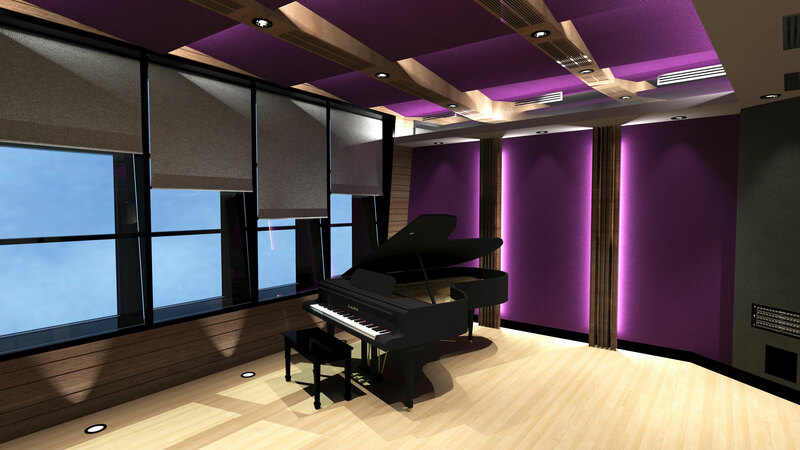 A custom built rear wall air return system is finished in quarter sawn walnut and utilizes tuned apertures for the airflow that also function as low frequency trapping. 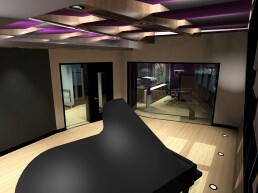 A studio proper is integrated to the right with floor up glazing. 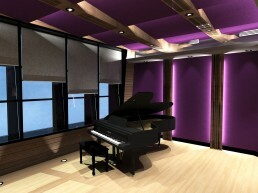 The window also feature an in window rack for the control room. 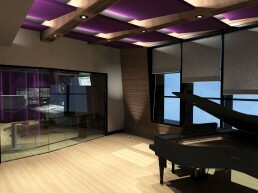 The studio space makes maximum use of natural lighting. 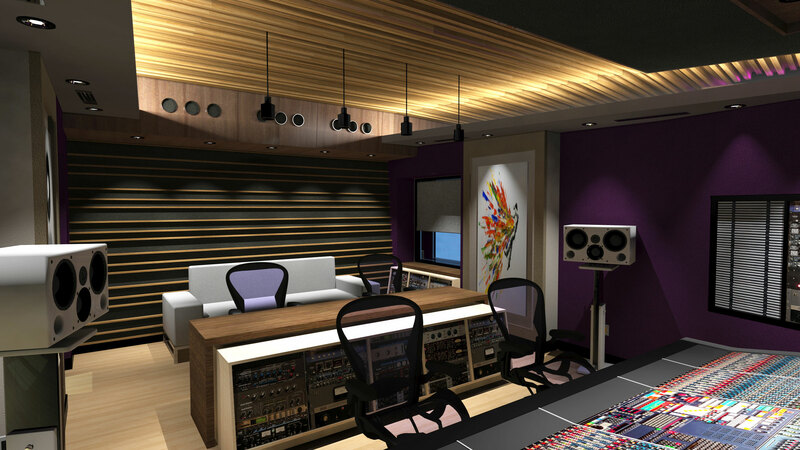 Finishes include fabric, and walnut and maple hardwoods realized in custom built acoustic assemblies servicing the diffusion, specular absorption and low frequency trapping needs. 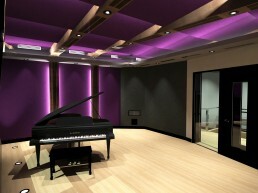 On the level below the studio is a high end mastering studio. 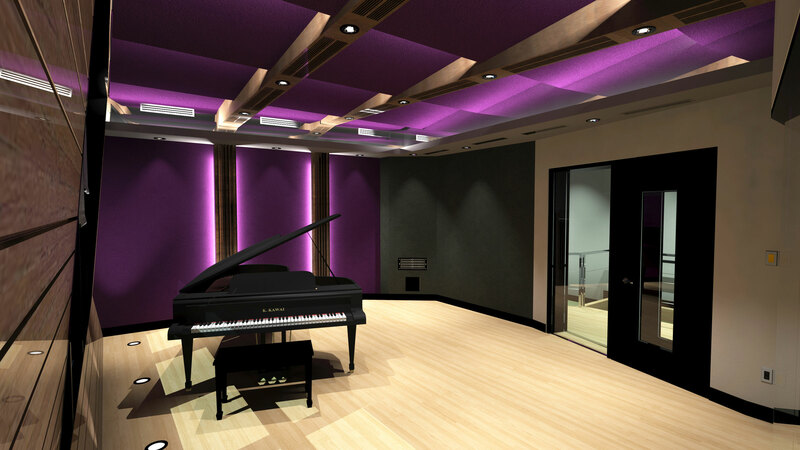 This space features a custom rear wall diffusor and a highly varied diffusive side wall treatment that is integrated with specular reflection control. 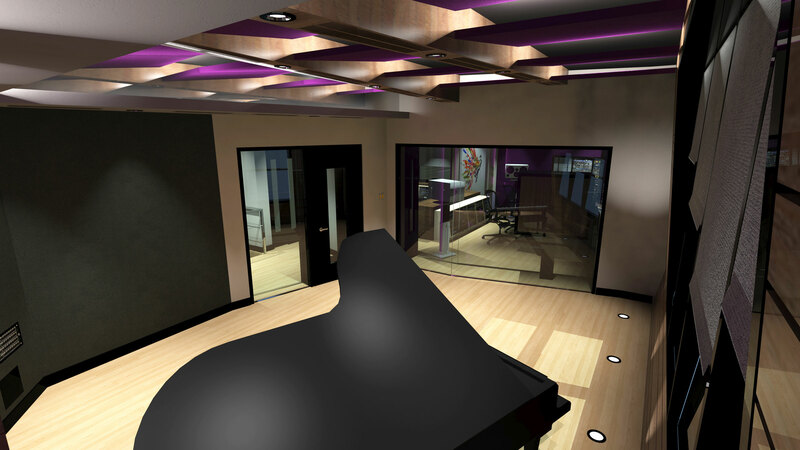 The space is fully isolated from the studio above with a comprehensive isolation scheme. 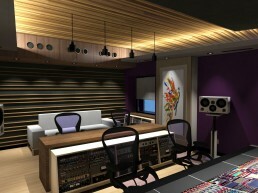 Clients amenities and technical support spaces flank the mastering studio on the lower level.